Major crisis in my life last week! I sewed over a pin and broke my machine:-( I know, everyone will tell you you're not supposed to sew over pins but I do... and I'm going to continue to do so. If you're trying to match points and you've spent all this time pinning to get everything perfect then pulling the pin out before you sew over it isn't going to help. In my defense, I've been doing it this way for 13 years and this is the first time I've had a problem. With life restored to normal, I spent the day sewing up a storm. My machine absolutely purrs and as an added bonus they replaced the burned out light bulb so I can actually see what I'm sewing:-) Just in time to kick off Selfish Sewing Week with imagine gnats... there may have been wine to celebrate while I finished up this month's Toes in the Sand blocks and made myself these comfy lounge pants with some adorable Anna Maria Horner Folksy Flannel. Treat yourself and join the fun!!! Glad to hear you had a good experience with Daley. I might have to check them out sometime since I'm due for a tune up sometime soon. oh no, sorry to hear about the machine!! i might still be meaning to get mine serviced and sewing on my back-up for, oh, four or five months now... oops. great pants! 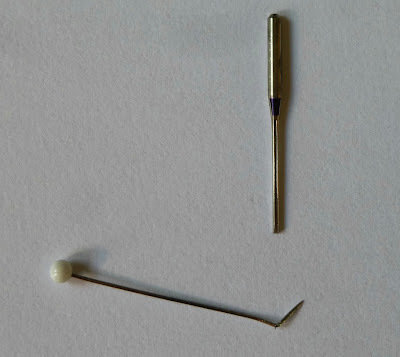 I sew over pins too - in spite of the fact that I always think one will poke my eye out in a freak accident. Glad your machine is back home and plugging away! I hate when that happens! Every time I break a needle I get so scared! 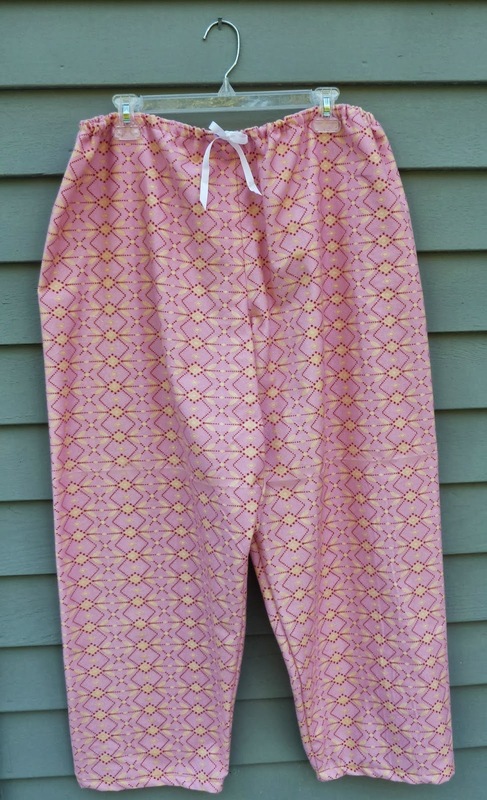 Cute pants though! I really need to make a pair for myself. I keep stealing my husbands. Oopsy! That is really scary. I have sewed through accidentally many nice, have to be really care from now on. I am just see your work. this machine is very effective. thanks for sharing project. TGIF: Thank Goodness It's Finished!